While the viewership for the Oscars dropped in 2018, it remains a mainstay of entertainment news coverage. We wanted to find out: Which publishers were most visible in the Google search engine results pages (SERPs) for our keyword set about the Oscars in general, as well as for the single keyword “frances mcdormand”? 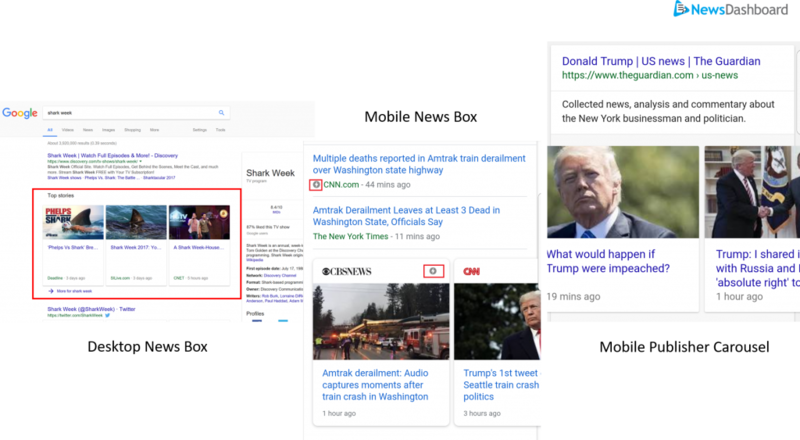 Examples of the News Box on the Desktop SERP (left to right); News Box on the Mobile SERP; and the Publisher Carousel – similar to the News Box, but all of the articles are from a single publisher – which appears only on the Mobile SERPs. First, we take a deep dive into the data about the “Three Billboards Outside Ebbing, Missouri” actress in the SERPs on Monday, March 5. As there was a variety of news around McDormand, we not only found the most visible publishers for her name on average throughout the day, we also found the most visible article from each publisher, and what news event around her name each headline was mainly about. 50 percent of the stories below were about the “inclusion riders” McDormand mentioned in her Best Actress acceptance speech. The remainder were split between the news that someone had stolen McDormand’s Oscar statue during an after-party (it was later recovered) and general news about her win and speech. Visibility around the keyword “frances mcdormand” spiked on Monday, March 5, after she won Best Actress at the Oscars. While legacy news organizations often have an impressive desktop showing, relative digital newcomer The Verge, which is owned by Vox, tops the list here. Interestingly, none of the Top 5 is an entertainment-focused site. The keyword “frances mcdormand” didn’t become visible in the Mobile News Boxes measured by the News Dashboard until Monday, March 5. Moving to the mobile SERPs, NPR and ABC News are replaced by Fox News and Variety – so one entertainment-focused publisher joins the Top 5. A mix of entertainment and general-interest news websites, as well as the official Academy Awards site, make up the Top 5 for Mobile Publisher Carousel visibility. Publisher Carousels feature the greatest number of entertainment-specific publishers – Variety, Vanity Fair and Deadline Hollywood. *Both articles had equal visibility in the ranking type. People.com is the single entertainment-focused publisher in the Top 5 for desktop News Boxes on Sunday, March 4, for the general Oscars keyword set. Switching back into Oscar Sunday (March 4), below are the Top 5 most visible publishers for the general keyword set, listed at the end of this article. The ranking type with the most entertainment-focused publishers in the Top 5 was Mobile Publisher Carousels. 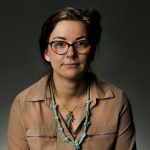 The most visible articles in the Mobile and Desktop News Boxes, as well as Mobile Publisher Carousels, for that single keyword were mostly about the inclusion-riders portion of her speech. If you’re interested in seeing Mobile News Boxes data for the Oscars, and for your publication – sign up for a News Dashboard demo today.